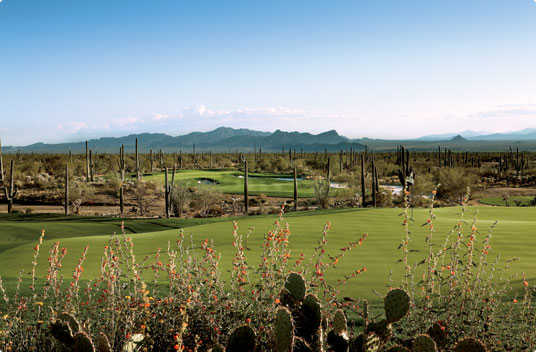 The desert foothills of the Tortolita Mountain Range provide the stunning backdrop for the three nines designed by Jack Nicklaus at The Golf Club at Dove Mountain. They are played in three different 18-hole combinations, one of them being Tortolita/Wild Burro. 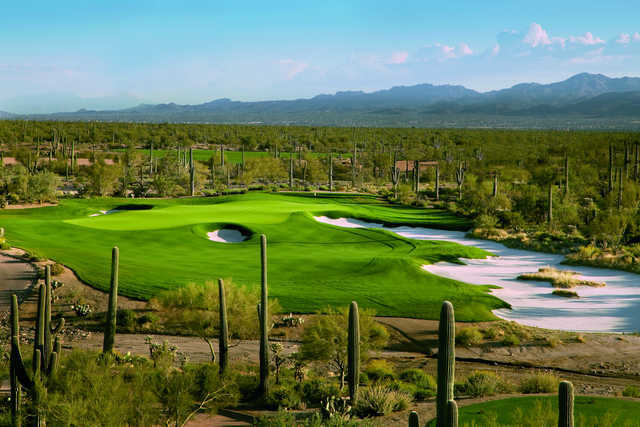 The desert foothills of the Tortolita Mountain Range provide the stunning backdrop for the three nines designed by Jack Nicklaus at The Golf Club at Dove Mountain. They are played in three different 18-hole combinations, one of them being Tortolita/Wild Burro. The Tortolita nine serves as the back nine for the PGA Tour's Accenture Match Play Championship, but Nicklaus considers Wild Burro to be the best of the three. 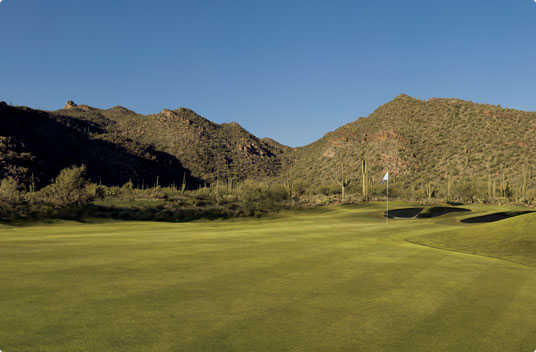 Playing through canyons and desert washes, the golf course features dramatic elevation changes and stunning views. Tortolita's third hole has the highest elevation at the club while the ninth hole on Wild Burro is the longest finishing hole of any of the nines. The intricately contoured greens and strategic fairway bunkering provide a challenge for even experienced golfers.